« Winter Lull, Secret Projects, and A Kickstarter? 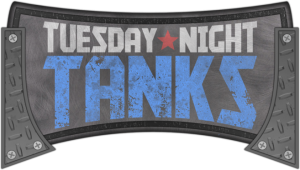 Tuesday is behind us and the Tuesday Night Tanks contest has ended. My Facebook Page received 61 likes during the course of the contest and Random.org picked a winner. I want to thank everyone for entering the contest and sharing it with others. Response like this is what keeps me going. THANK YOU! Without further hesitation… the winner is: Roger Hicks!